Can Love Survive the City of Lights? 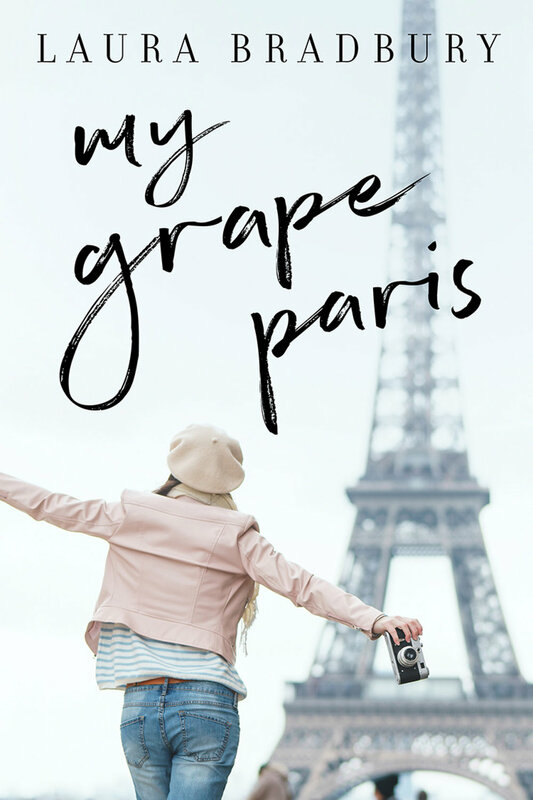 My Grape Paris takes fans of Laura Bradbury’s Grape Series to the captivating world of Paris, where Laura has managed to organize an exchange year at the Sorbonne. Franck accompanies her, delighted to return to his native France. Over afternoons napping in an ancient Roman amphitheater and nights gallivanting around the Louvre, Laura dreams of becoming a sophisticated Parisian woman. However, Laura soon discovers that living in Paris is much more complicated than the fantasy. Besides inappropriate relatives and spiteful teachers, there are also questions that become impossible to ignore. Will Franck stay in Paris after Laura’s stint at the Sorbonne is up? Is their Parisian year the final hurrah for their romance? Find out in My Grape Paris, as Laura confronts love and heartbreak in the city of lights. Or, at least I feel like I did, thanks to Laura Bradbury’s latest “Grape” installment. I am a fan of the entire series (I’ve read them all at least twice) and this one is a new favorite. As much as I tried to read it slowly, I couldn’t help myself. I devoured page after page, gobbling up Paris along the way. I smelled the food, heard the crispy crunch of the fresh croissants, felt the stifling summer heat and got a bit seasick on the Seine. Laura’s writing is so evocative of her ‘moment in time’ that I also suffered her youthful angst about her studies, her friends, her neighbors, her relationship and her future. This book was a joy to read and I will likely be re-reading it again in the near future but this time I will do it slowly, savoring every page. It will be a treat, to be sure. Taste a student’s life at the Sorbonne with love, laughter and Quite a Lot of champagne. Whenever I read one of Laura Bradbury’s Grape books, I’m disappointed when it ends. I look at the last page and say, “well, then what happened?” I’m grateful that she keeps writing them to answer my question. I don’t know anyone who doesn’t grapple with the question about whether to do what seems best for yourself as others understand you OR whether to do what seems best for yourself as you understand you.....OR do you really understand you? Laura’s books seem to focus on finding a path through life that satisfies her needs and still seems honest and keeps her tied to the people she loves. To an extent, I like to think we all try to do that. But Laura’s path also includes delicious descriptions of food and a Francophile’s appreciation of the French culture. If you can’t afford a ticket to Paris, buy this book and get a little taste.